David was born and raised on a sheep and arable farm on the Wiltshire/Hampshire border, growing up around sheep all of his life. He even lodged in a traditional Shepherd’s Hut during the lambing season to keep a close eye on the ewes. When they sold the family farm in 1998, David had to find another business. Coincidentally, at the time, he was restoring an original Shepherd’s Hut, inherited from his Grandfather, which they have fond memories of playing in as children. Once restored, a number of people enquired with David about sourcing new and refurbishing huts for them. After looking into the second hand market David came to the conclusion that it would be more economical to build from scratch. In the autumn of 1999, in a neighbour’s farmyard and with the help of a friend, Pete, the Shepherd’s Hut Company was born. The first of a ‘new wave’ of people building Shepherd’s Huts from scratch. Having used Shepherd’s Huts for lambing time, David always felt they were too high off the ground and unstable. They were certainly too narrow when carrying lambs and medicine back and forth. So, they increased the stability by fixing the wheels away from the undercarriage and use solid axels running the width of the hut, instead of stud axels. With these changes they felt they had improved access and produced what they believe is a stronger, more stable looking hut. 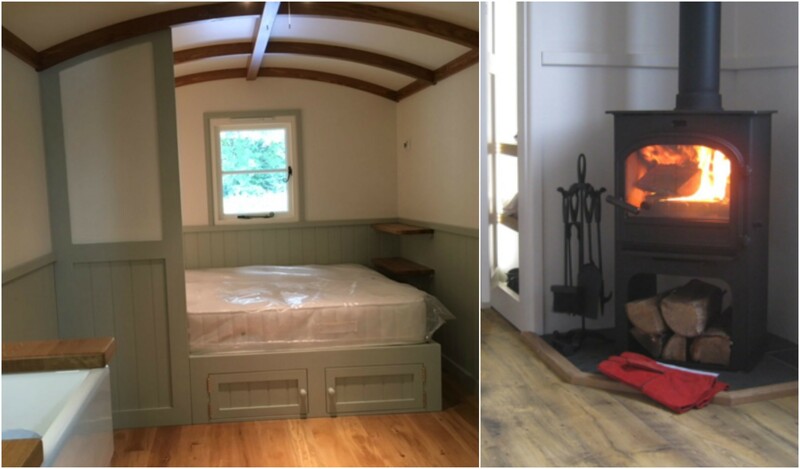 All of the Shepherd’s Huts are built to the client’s specification. David caters for both off grid, mains connected or a combination of both. Features can include a fold down bed, bunk, fitted or Captain’s cabin. Fitted kitchenettes come equipped with fridge, Belfast sink, hob, oven and/or microwave. En-suite include shower, hand basin and toilet. The Huts can even have underfloor heating and wood burners! They’re also equipped with electrics, TV points and pull out cupboards, cabin seats and lots of nifty storage spaces. Their first huts where very traditional, with a stable door one end and a single window at the side. To increase their product range, they designed a hut with double doors on the side, allowing for a more ‘summer house’ feel. Believing it would be ideal for fishermen on a riverbank, they named it ‘The Fisherman’s Hut’. Since then there have been many additions to The Shepherd’s Huts range with the ‘Drover’s Hut’s’, a larger model named 'The Wanderer's' and even a model that can accommodate a family called the ‘Wayfarer’s Hut’. All the huts are bespoke and finishes are customer lead and David is always happy to discuss personal requirements with clients. As well as building bespoke and durable Shepherd’s Huts, it’s been important to David to source environmentally friendly products for the Huts so they have minimal impact on the environment. He’s only uses timber that is certified either PEFC (70%) or FSC and he treats the exterior timber using Osmo Exterior Oils. Osmo Wood Oils are a natural treatment for wood based upon refined natural resources. The Oils allow for natural movement and growth of the timber so as a wood finish it doesn’t flake or peel, it also retains the natural beauty and durability of the timber. 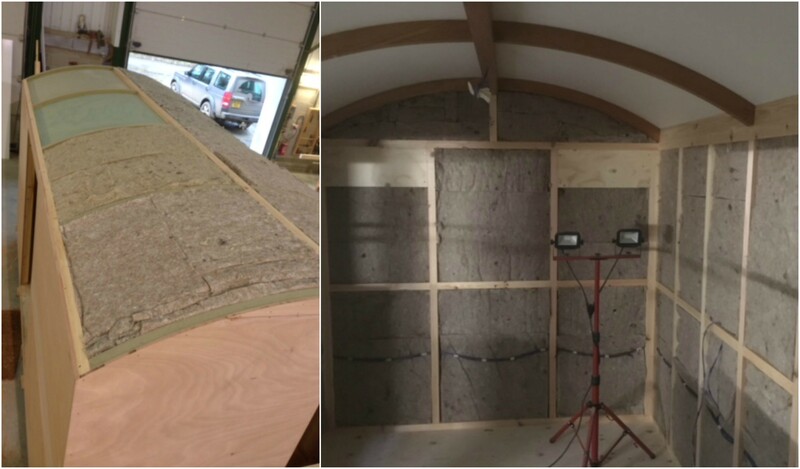 After a lot of research David chose to use our Thermafleece Cosywool Sheep’s Wool insulation to Insulate the Shepherd’s Huts. They use the wool insulation in the roof and stud walls. He found that the great specification of the Cosywool was the best on the market with excellent U-Values. After growing up around sheep, he knew sheep’s wool would be really easy to use and would fit nicely in the spaces of the Shepherd’s Hut’s. Cosywool is a natural eco-friendly option, it’s recyclable and it’s been made here in the UK... and of course it comes from sheep! Sheep’s wool insulation not only keeps you warm but it keeps you cool on a warm day. When the outside temperature increases and begins to heat the wool insulation, it releases moisture, which has a cooling effect on the fibre. This will reduce the flow of heat to the inside of the pod. 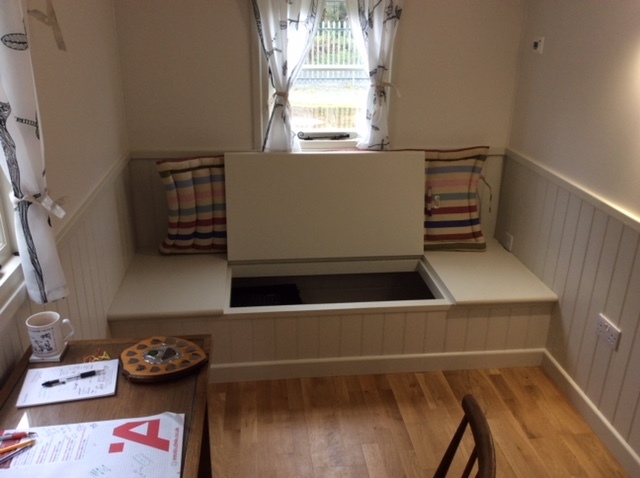 David has also built many bespoke Shepherd’s Huts that have been used for home offices, accommodation for carers and ones just for fun! Even building a ‘knick-knack’ Shop that is positioned overlooking Durdle Door. David’s Shepherd’s Huts Company has also built cabins (no wheels) for a glamping business. 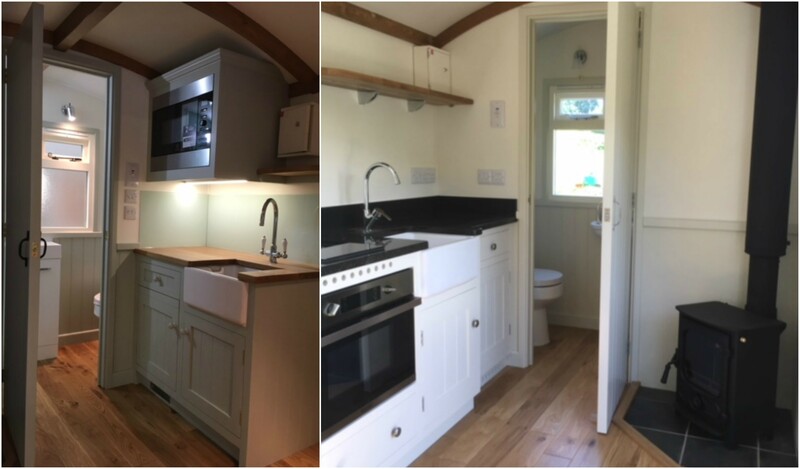 For more information about The Shepherd’s Hut Company visit https://www.shepherd-hut.co.uk/ and for further enquiries call (0)1822 612720. If you wish to view the huts, they have permanent display at their workshop on the outskirts of Tavistock, Devon. Photos supplied by David Cherrington.